Production Master is back with another one. If you are looking for a pack that merges trap and hip-hop and has that sweet atmospheric, emotive feel, then you found it! Packed with tons of melodic content and killer drums, this pack is sure to jump-start your creativity and fuel your next banger! "Innovative Hip-Hop & Trap" is filled with tons of killer content and will give you that edge to make your productions stand out. If you are making beats for rappers or if you just want to add an original edge to your trap or hip-hop productions, we got you covered. 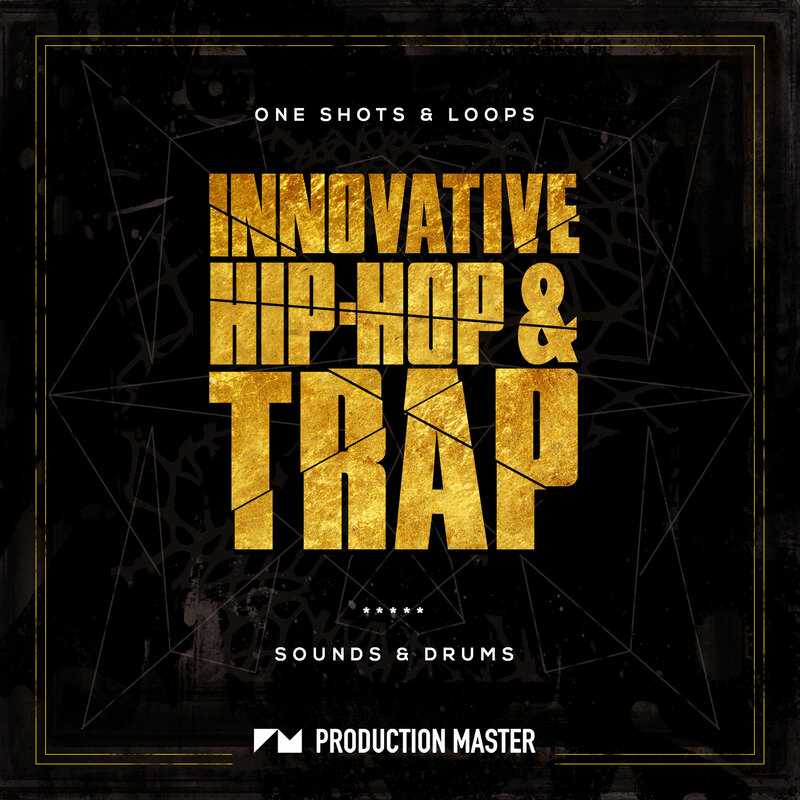 On "Innovative Hip-Hop & Trap" you will find some killer drums, including: Hard hitting kicks, ear popping snares and claps, bright cymbals and rides, dank percussion, build up loops and hihats clingier than your ex-girlfriend! Also, the melodic content in this pack just insane: Musical melody loops from pads, bells and leads, original recorded and heavy processed foley sound loops, deep 808s, Effect loops and a lot of vocal loops. Its all in here! Don't play yourself, grab this pack NOW!